Speech not Recognised Speech Not Recognised: The 3rd 'Speech Not Recognised' rag doll giveaway! The 3rd 'Speech Not Recognised' rag doll giveaway! UPDATE: THIS GIVEAWAY IS NOW CLOSED...THANKS TO ALL WHO ENTERED!! Christmas is only 62 days away, you know. If you have a little girl who likes dolls we have just the thing for you for our latest giveaway! Meet Sally. She's one of Mrs Speech's fine rag doll creations, from her shop. Sally is made from cotton fabric, thread, ribbon and stuffed with fabric scraps - a real rag doll! She is 11 inches tall and loves karaoke. To enter, visit Mrs Speech's shop, and leave a comment telling her which item is your favourite! Also, leave us your e-mail address! Remember, you can earn up to five extra entries, but make sure you leave a comment for each one, or it won't get counted. I like the Rag Doll - Lizzy. It'll be a perfect gift for my granddaughter for her birthday in December. I love Irene with her sassy red hair (I'm a redhead myself) but my blond daughter would love Sally, and would especially love her clothes :). My e-mail's in my profile. Thanks for the opportunity, your work is adorable. I love the Rag Doll - Betty! I really like the Jesse Christmas tree AND the Christmas stockings.. Lovely!! I like the Jill rag doll. we like http://www.etsy.com/listing/110406786/doll-cloth-doll-rag-doll-betty-- Betty and http://www.etsy.com/listing/109792204/quilt-kaleidoscope-with-polka-dot-back--this beautiful quilt--who wouldn't love this! Russian doll finger puppets! Adorable!!! 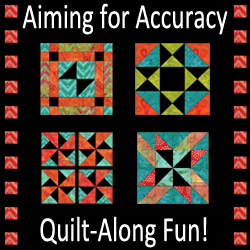 I Adore The Quilt - Kaleidoscope with Polka Dot back, it brings back pleasant memories for me.It would make a fabulous lap quilt. Also, I just discovered the ultra-adorable Angel finger puppet! It appears very versatile. I wouldn't it to being a finger puppet! I follow Pink Scissors Design on Twitter! I really like the Jesse Tree ornaments. So neat and would be wonderful passed on from year to year. I love all the stockings, they are all so pretty! I love the Sheila doll! I love the Matilda doll! So beautiful! I like the Doll - Cloth Doll - Rag Doll - Lucy with doll quilt.